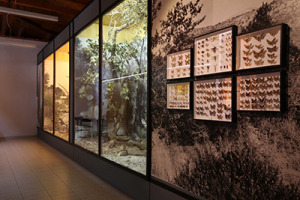 Museum Neochori – Natural History Museum of Preveza Region is the fruit of the long-term cooperation between the city of Preveza and the organisation Natura Opava from the Czech Republic. Together with leading natural history institutions in the Czech Republic, Natura Opava has been continuously carrying out scientific research on the Preveza peninsula since 1992. Results show that the entire peninsula area is valuable in terms of its natural environment. Our aim is to raise awareness about the need to protect the vulnerable natural environment of the area, not only in passing visitors but also in permanent residents. 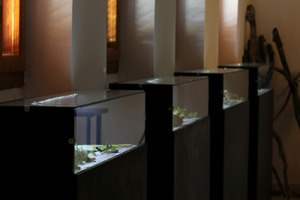 The concept of the exhibition, established in 1995, focuses on highlighting the most important ecological relationships between fauna, flora and the non-living environment, on the one hand, and man, on the other hand. 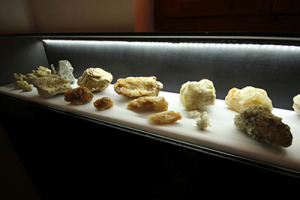 The exhibition was radically renewed in 2013 by adding new exhibits and panels including text and photographs of the most important organisms. You can also discover the variety of biotopes, including their typical representatives, in nature with the help of the guide titled Ten Stops in Nature in the wider Region of the Preveza Peninsula. 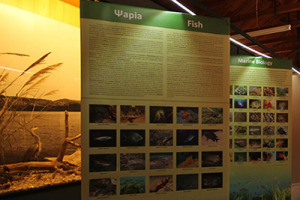 The objective of both the Museum and the guide is to make knowledge of nature more appealing so as to encourage visitors, pupils and students in Preveza, as well as anyone interested in nature, to further study and understand the local particularities.